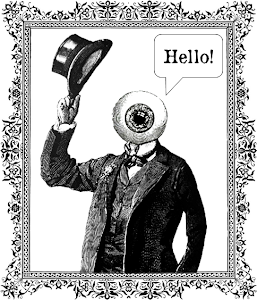 The Ulysses Quicksilver series is a land of a unique world with many twists. 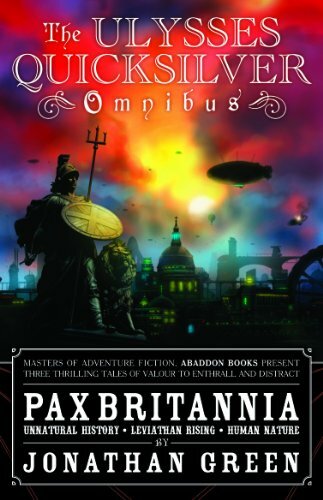 "The Ulysses Quicksilver Omnibus" will prove an excellent way to break readers into this series, a steampunk world where Queen Victoria is nearing a two century reign, diving into the deep sea is a vacation, and where even the thieves are a bit off kilter. 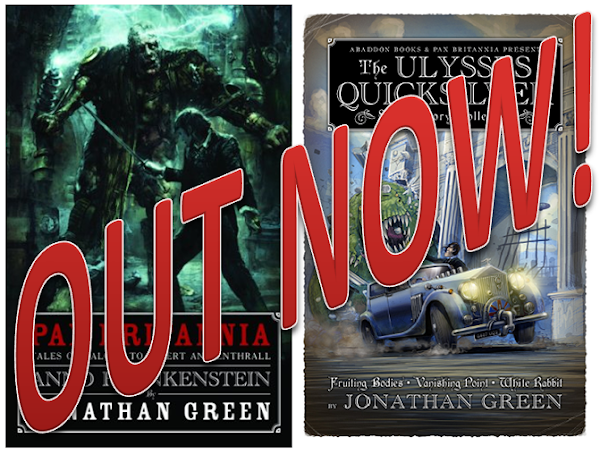 A riveting read of three novels that should definitely prove quite fascinating, "The Ulysses Quicksilver Omnibus" is a volume that will prove very hard to put down and very highly recommended. 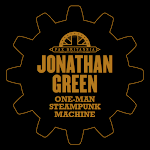 Having been a fan from the beginning of this quirky character, I really couldn't help but rediscover the joy of this dashing dandy of a secret agent in Steampunk Victoriana glory. After all that's what this title is all about and to be honest whilst some may not be the biggest fan of this literary hero, he's got a hell of a lot to offer the modern reader in a similar sort of way that Moore brought when he did his League of Extraordinary Gentlemen to the screen. Add to the mix that this is an omnibus and you know that it has value for money built in. It's an ideal stocking filler if you love action and when backed with a hero that readers will just love to hang out with alongside the full extent of everything from Darwinism gone wrong, a touch of reanimator and a whole host of interesting supporting cast and it really is a spiffy read. 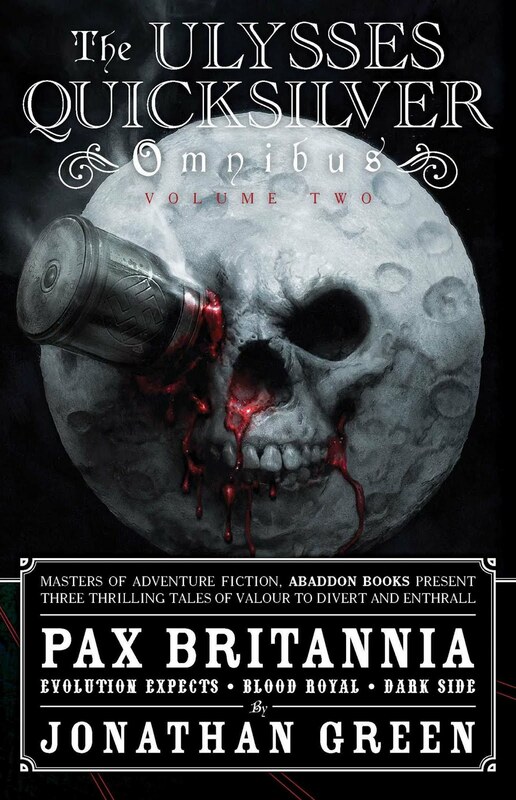 If you need to get up to speed with the Pax Britannia series before picking up either Evolution Expects, Blood Royal or Dark Side, you can pick up a copy of the omnibus here. * And if you're one of those nice people, sorry for using the adjective 'nice' to describe you. It's been a long day and I'm right out of other adjectives. My cupboards are metaphorically bare. Sorry. I bought and am reading it as of this moment it's AWESOME! Ulysses has made it to being one of my favorite Novel characters, and this being one of my favorite series, thanks for making such a great series! I'm glad you're enjoying it. It probably won't be too long before the next three books (Evolution Expects, Blood Royal and Dark Side) are given the omnibus treatment. 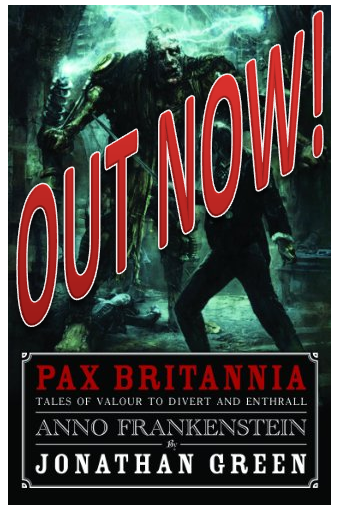 But don't forget that the 7th Ulysses Quicksilver title, Anno Frankenstein, is out in May!